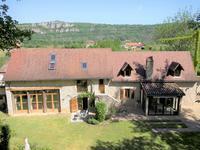 This beautiful 18th Century stone property is set on the outskirts of the charming and . . .
SALLES COURBATIES, building plot of 12800 m2 with house of 50 m2 to be demolished and rebuilt . . .